Howard Gardner, a prominent psychologist from Harvard, defined eight "intelligences" in 1983, claiming that all humans have various strengths which define the way they think, learn, and interact in the world. Gardner believes that education can be improved by knowledge and application of these intelligences which address the individual nature of each and every student. 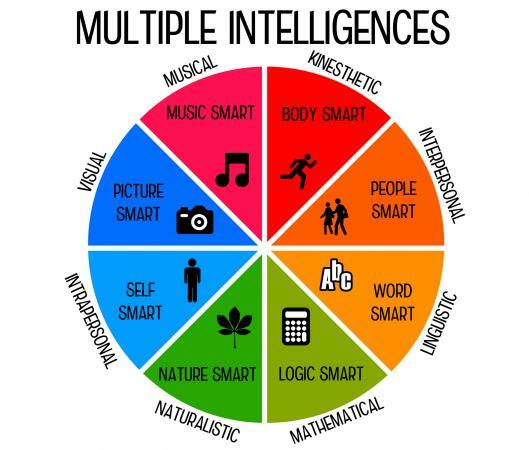 To begin, click on the printable multiple intelligences test. It will open up in your browser as a PDF. Click on the printer icon to print the test. Follow these instructions to help download the PDF file printable. After you've printed the test, you can use it to give children an idea of where their strengths lie. Whether you are a teacher or a student who is curious, this multiple intelligence test printable will help you identify a person's strongest intelligences. A multiple intelligence quiz for students can be a valuable resource to help children develop and learn to the best of their abilities. 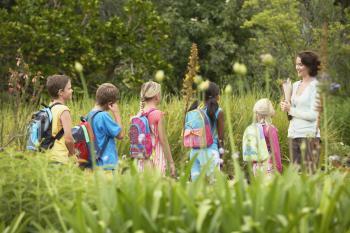 Teachers can develop and use classroom activities designed for multiple intelligences. 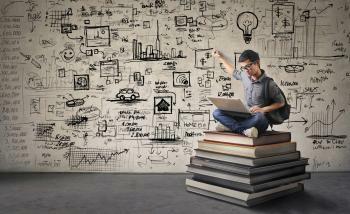 This test will help the student see his strongest intelligences and may help him consider his abilities in a new way. Zero - This statement does not describe me at all. One - This statement only describes me a little, or only describes me sometimes. Two - This statement is pretty accurate and describes me, generally speaking. Three - This statement strongly describes me. If you're giving this test to a student who cannot yet read, interview them and have the student answer the questions orally. Rather than having them give you numbers, phrase questions in a way that allows them to agree or disagree. For example, instead of asking the student to give a one, two, or three, you might say, 'Do you like art class? Tell me a little about it.' Based on the student's enthusiasm and response, the teacher should give her best guess as to an appropriate score for that question. When the child has answered all the statements with an appropriate score, add up the total for each section and apply these totals to the bar chart at the end of the worksheet. Plot each score on the chart by coloring in the blocks up to your total for each section. You should score between zero and eighteen for each. Underneath each section number is the intelligence, it refers to so that you can clearly see which are your highest scoring intelligences. Verbal-Linguistic - If your score for verbal-linguistic intelligence is high, you probably like writing, telling, or reading stories, poetry, songs, or essays. Effective study strategies using your language intelligence include reading, oral reading or acting, making notes, copying chunks of text, mnemonics, and making a note of ideas or reflections on what you have read. Mathematical-Logical - A high score in this category generally indicates that you have a strong aptitude for numbers, logic, and reasoning. You tend to think like a scientist, and numbers seem easy and sensible to you. Study strategies include organizing notes in an outline, categorizing information, and using mnemonic devices. Musical-Rhythmic - Musical-rhythmic intelligence applies to those who learn best through song, rhyme, rhythm and sound. Effective study techniques will incorporate these preferences into your lessons. You could try using a familiar tune to remember spelling, processes, formulae, or historical events by making up lyrics. Visual-Spatial - If you scored highly in this category, you probably remember best in pictures or images. Making charts, graphic organizers, posters, slideshows, videos, or photo collages work for you as a learning strategy. Bodily-Kinesthetic - Those with high bodily-kinesthetic intelligence like to move and have a lot of energy. If your score for this intelligence category is high, you probably enjoy being on the go as much as possible. Since you would rather learn by doing, the most effective study strategies are those which incorporate body movement or hands-on activities into a project. Interpersonal - Those with very high interpersonal intelligence interact well with others. They tend to have good social skills and are good at both verbal and nonverbal communication. Effective techniques for enhancing your education using your social intelligence skills include taking part in group or team projects, discussions, book clubs, literature groups, or study groups. Intrapersonal - Intrapersonal intelligence is demonstrated by individuals who are self-aware and comfortable spending time alone. Effective study techniques will incorporate solitary projects, writing in a journal, or analytical writing. When studying history, events or people, a powerful study technique might be role playing or examining different points of view. Naturalist - If your score for naturalist intelligence is high, you probably care deeply about nature, whether your focus is rocks, trees, birds, animals, flowers or even meteorology. You love to be outdoors, are nurturing and probably like to look after animals or grow plants. Effective study techniques will encompass projects that can be tied into the environment or the natural world. This includes using photographs, drawings, or observations to augment a project. Harold Gardner's Theory of Multiple Intelligences goes beyond the traditional models of learning to explore an individual's unique set of skills and motivations. The idea behind the Howard Gardner multiple intelligences test is to understand more about the way individuals learn. Theorizing that these strengths and preferences are linked directly to a person's potential, and therefore to possible career choices, Gardner felt that educational programs and models should address all intelligences rather than the verbal-linguistic and mathematical-logical skills which are primarily highlighted in schools. Parents and teachers can utilize learning tools and activities that match children's strengths to help them succeed. Through knowledge of their strengths, each and every student can maximize their educational opportunities and become motivated and inspired by their choices. Learning style tests, like this multi-intelligence test, can help pinpoint a person's optimal learning abilities. Consider using your intelligences to help you study, pick college courses, and even direct you into a career you will find satisfying and rewarding.